The intention to start an interdisciplinary project was formulated in 2002 at the Swedish Institute in Rome (ISV). The project is aiming at the integration of research and conservation. 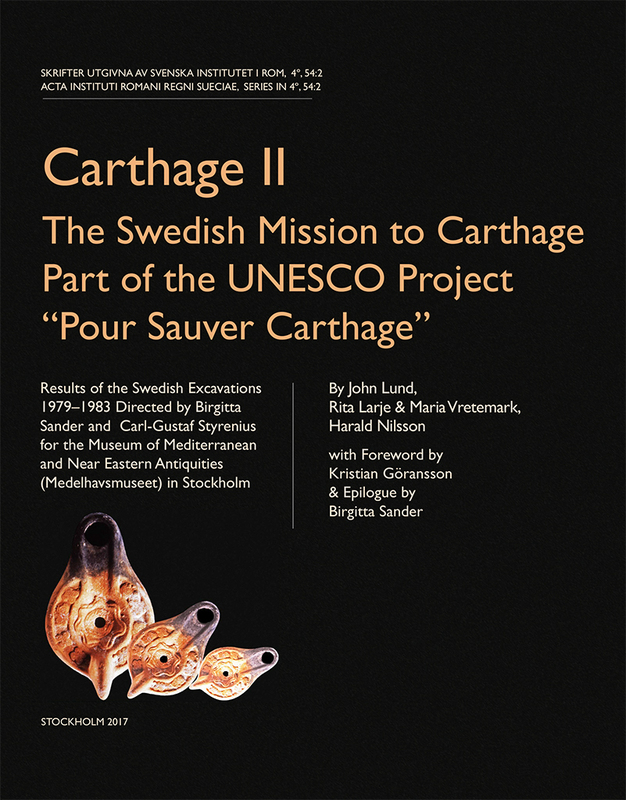 Connected to the project are scholars at Göteborg and Uppsala universities, Chalmers Technical college, Oslo University and Università La Sapienza in Rome, in collaboration with the Soprintendenza Archeologica di Roma (SAR). The history of the collection, the courtyard and the inscriptions, as well as ancient and later technology in stone-carving and conservation are important topics. Other studies concern themes such as portrait busts, togati, sarcophagi and Roman portraits. Project coordinator Agneta Freccero worked together with the Italian conservators Silvia Gambardella and Alessandro Danesi on conservation and research related to conservation, materials and technology. Palazzo Lancellotti ai Coronari is a Baroque palace situated in central Rome near Piazza Navona and close to the Tiber. Its ochre coloured façade with windows and doors framed with travertine provides a light and warm impression, which combined with the architectonic austerity gives a feeling of welcoming simplicity. The main façade is facing the little Piazza San Simeone and the buildings’ south body faces the Via dei Coronari. Palazzo Lancellotti is one of few baroque palaces still inhabited by the family who ordered it. Construction began in 1591 on commission of Cardinal Scipione Lancellotti. After his death in 1598 one of his sons, Cardinal Orazio, gave the commission of planning and completing the building to the leading architect of that period, Carlo Maderno. The building was finished in 1610, the portal and the wall paintings some years later. The programme for the decorations of the ground floor and the piano nobile was designed by Agostino Tassi. Many famous painters worked with him, e.g. Guercino and Lanfranco. The magnificent decoration of the Sala dei Palafrenieri is unique. Maderno planned in detail the entrance, courtyard, stairway and the two loggias. These spaces can be seen as an artistic installation designed to show the collection of antiques. Statues of white marble were installed into vaulted niches, portrait busts placed into tondi and reliefs set into the walls and enclosed by decorative stucco frames according to a simple symmetric system. This unpublished collection is representative for the taste of the period. It consists of more than 100 Roman objects of marble with additions and reconstructions made in the 17th century and later. The courtyard and its statues, busts, reliefs and other objects of marble is the focal point in this project. The cortile is the first space on which the visitor sets eye when entering the property. Although there have been changes in the setting it still maintains its characteristic. Most objects in these open-air spaces are exposed to rain, wind and sunshine, and are consequently in a more or less advanced state of decay. From the conservationist point of view this means there are all kinds of problems to study and resolve, and a great variety of objects are represented. The courtyard is studied by architect Ellen Skånberg. In a preliminary report on the cortile she discusses its traditional organisation and function as a social symbol in Roman palaces. Her study of the flow of natural light at different hours of the day is shown on delicate watercolour paintings. A register of the objects in the collection was made and used as a basis for planning the conservation programme. Studies are initially concentrated to the west wall of the courtyard and its eleven marble objects, which represent common types of Roman art, seemingly all with later additions. Many are in a bad state of preservation. Black crusts and detachment of joined fragments are common problems. Some elements will probably, for stability reasons, have to be detached, making possible a recognition of materials and techniques used by ancient and later stone carvers and conservators. Statues with integrations generally are made of more than one kind of marble. This gives rise to a set of questions that hopefully will be satisfactorily answered as conservation proceeds. Other issues regard the materials and methods used for conservation. In modern conservation are frequently used substances, which are often dangerous for human health. This leads to another set of questions. Is it possible to use ancient and traditional methods with a satisfactory result? How do we define what is satisfactory? By using efficient modern substances, provided by the chemical industry, work proceeds fast and the object becomes absolutely clean. The negative effect, beside the toxic or unhealthy aspect is, that such proceeding often bleaches the marble as well, and if there once were remains of any intentional patina, these are removed forever. One of the main concerns in this conservation project is to avoid dangerous products and try to rediscover and maybe improve ancient materials and methods. Four conservation students studying conservation of stone and archaeological material at the Institute of Conservation at Göteborg University attended the course in conservation with focus on classical sculpture that was held this autumn in Rome. The first part of the course was intended to be a preparatory course in conservation issues and on cultural and artistic aspects reflected in the Lancellotti collection. All steps in the gradually developed conservation plan was performed as a teamwork under the supervision of conservator Silvia Gambardella and myself. Samples of patinas and crusts, and various materials used for infillings were taken and are examined at the laboratory at Göteborg university. The results will be available before the course continues in march 2004. Many professionals at institutes and museums dedicated time and enthusiasm to us and our project. To them we are most grateful. Economic contributions was received from Fondazione Famiglia Rausing, Stiftelsen Torsten och Ingrid Gihls Fond, Helge Ax.son Johnsons stiftelse and Adlerbertska Stipendiefonden for generous contributions to this project. La gestione del patrimonio culturale. Cultural heritage management, Corigliano Calabro, 4-8 dicembre 2003. See also Publications. Freccero, Agneta, "Palazzo Lancellotti ai Coronari, Rome. A research and conservation project", in Atti VIII Colloquio Internazionale. 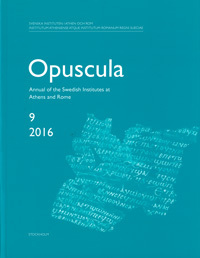 Proceedings of the 8th international meeting, Corigliano Calabro 4-8 dicembre 2003, Roma, 2004, 134-141. Art, Conservation, Science. The Lancellotti Collection Project. Eds. M. Barbanera & A. Freccero, Rome, 2005. Collezione di Antichità di Palazzo Lancellotti ai Coronari. 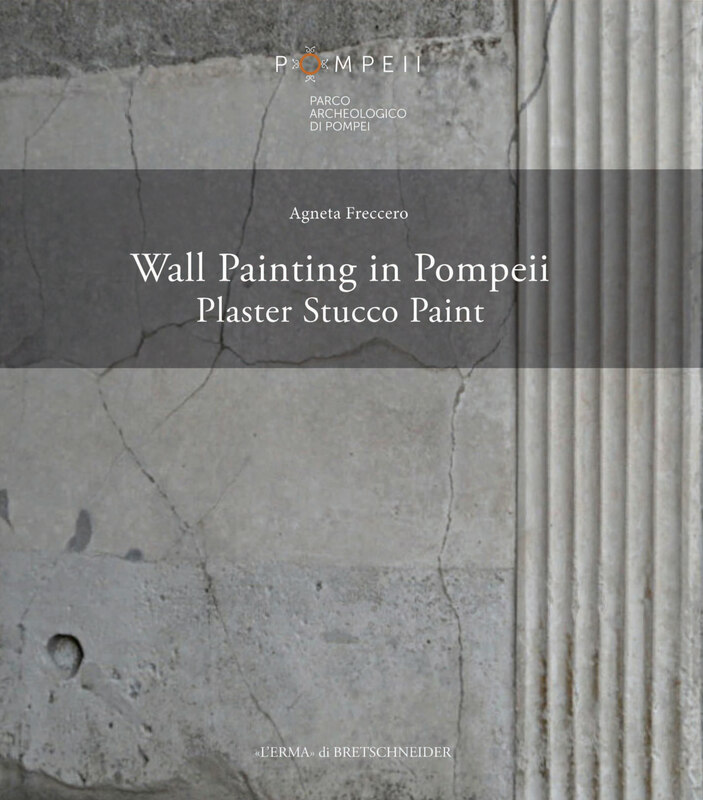 Archeologia, Architettura, Restauro. Eds. M. Barbanera & A. Freccero, Rome, 2008.